For generations, Nazarenes have supported evangelism on the world, region, district & local levels. Working together, we accomplish so much as the Body of Christ. 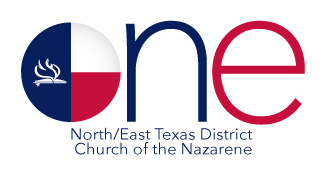 Become a part of missions work and partner with the Church of the Nazarene to make Christlike disciples in the nations. In the Nazarene Funding the Mission plan, the World Evangelism Fund is the vehicle through which we deliver the message of hope to world areas, and the District Tithe (for Education, Pensions & Benefits, and District Initiatives) delivers services to regional and district needs – and your church drives that mission. Our district treasurer, Rev. Jerry Wilson, has prepared the 2018-2019, District Giving report as of Feb. 10, 2018. Pastors & Boards, please pay close attention to your church’s contributions so far this year. Please make every effort to encourage your people to faithfully maintain their giving for others. Questions? Please contact Jerry at jeryl105@gmail.com or 214-505-0476.